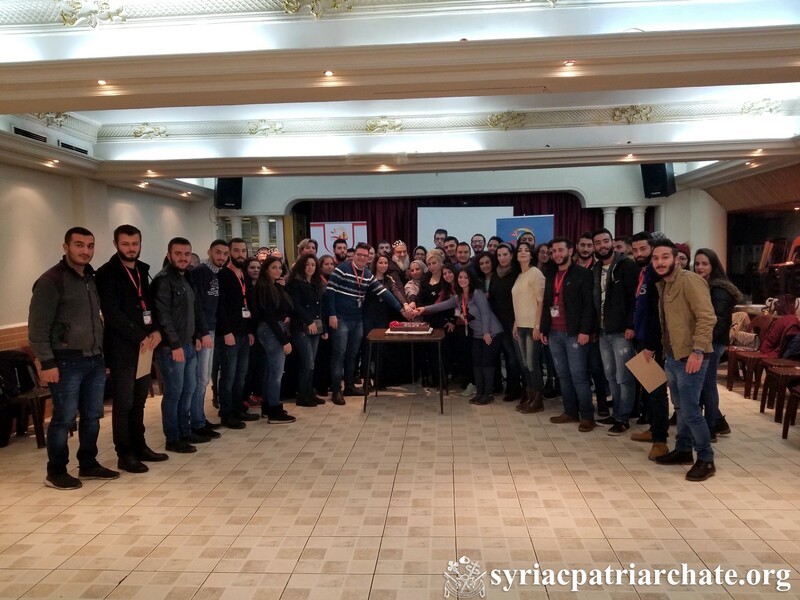 On December 8, 2018, on the occasion of the International Volunteers Day (Dec 5), His Holiness Patriarch Mor Ignatius Aphrem II met a group of volunteers who serve various projects at St. Ephrem Patriarchal Development Committee (EPDC), at the Patriarchate Headquarters in Bab Touma – Damascus.Mr. Shadi Sarweh, Executive Director of EPDC, welcomed His Holiness, and gave an overview about the work of EPDC. His Holiness encouraged the volunteers to continue serving their fellow human beings, carrying to them a message of love, service, sacrifice, and self giving.He emphasized the role of volunteers, who spend their spare time serving others, in the relief and support of people affected by crises, especially children and vulnerable people. At the end of the meeting, His Holiness presented tokens of appreciation for the distinguished volunteers who showed leadership and enthusiasm in their work. His Holiness was accompanied by Very Rev. Raban Joseph Bali, Patriarchal Secretary and Media Office Director, and Dayroyo Boutros Dekrmenjian.